The Road Streaker cocktail isn’t as cloyingly sweet as you’d expect from glancing at the ingredients. Three liqueurs make up nearly two ounces of the drink. But the other ounces are vodka and heavy cream, which cut the sweetness considerably. 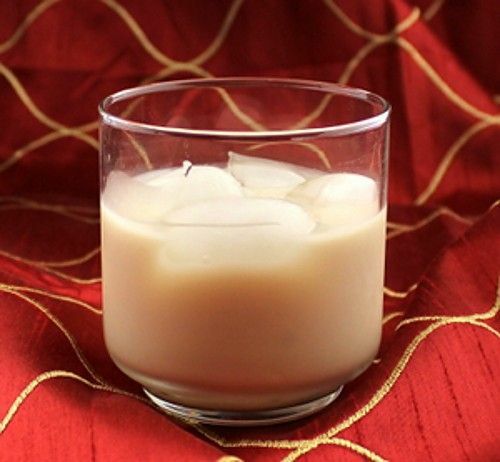 This is a great drink for when you want to enjoy the flavors of the liqueurs – creme de peche, frangelico and Tia Maria – without feeling like you’re drinking a liquid candy bar. Fill a cocktail shaker with ice and add all ingredients. Shake to chill, and strain into old-fashioned glass full of ice.